Former President Richard Nixon's bestselling autobiography is an intensely personal examination of his life, public career, and White House years. With startling candor, Nixon reveals his beliefs, doubts, and behind-the-scenes decisions, shedding new light on his landmark diplomatic and domestic initiatives, political campaigns, and historic decision to resign from the presidency. 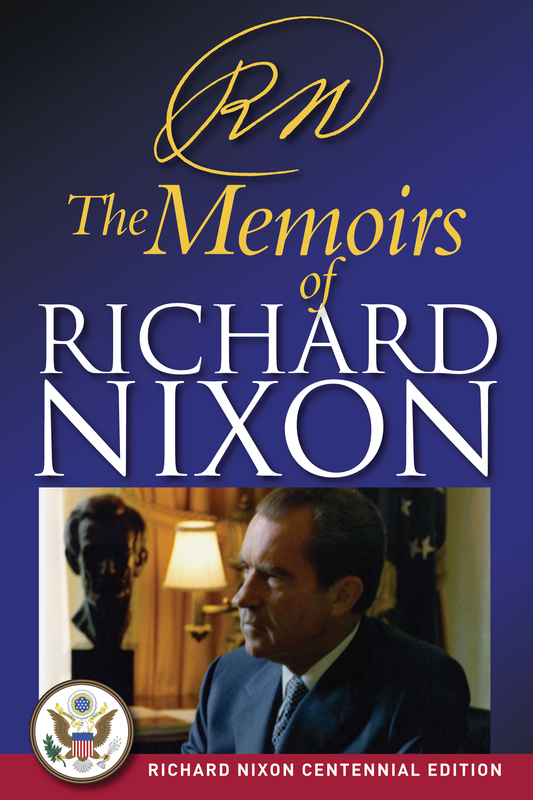 Memoirs, spanning Nixon’s formative years through his presidency, reveals the personal side of Richard Nixon. Witness his youth, college years, and wartime experiences, events which would shape his outward philosophies and eventually his presidency—and shape our lives. Follow his meteoric rise to national prominence and the great peaks and depths of his presidency. Throughout his career Richard Nixon made extensive notes about his ideas, conversations, activities, meetings. During his presidency, from November 1971 until April 1973 and again in June and July 1974, he kept an almost daily diary of reflections, analyses, and perceptions. These notes and diary dictations, quoted throughout this book, provide a unique insight into the complexities of the modern presidency and the great issues of American policy and politics. Richard Nixon, the 37th president of the United States, was born on January 9, 1913 in Yorba Linda, California. First elected to public office in 1946 representing California’s 12th congressional district, Nixon was elected to the US Senate in 1950 and two years later won the first of two terms as vice president of the United States. Winning the presidency in 1968, he was re-elected in 1972 in one of the largest victories in US history. One of America’s most prolific former presidents, Nixon’s bestselling books influenced the conduct of American foreign policy long after he left the White House.